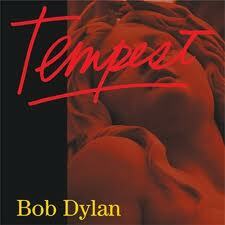 Bob Dylan's newest album, Tempest, has gotten some pretty good reviews. Click the link for a first impression from Rolling Stone. I like the title track, "Tempest," which I find to be less about the wreck of the Titanic, specifically, than about the place in which our entire civilization finds itself right now. I also particularly like the album's final cut, "Roll on John," which is a moving tribute to John Lennon. It is also, to my mind, a reminder that today (right now), for all of us, is "another day in your life on your way to your journey's end." That, to me, seems to be the truth. It's always a critical moment (now or never) when choice determines the future, and we decide the future by our choice. Given that this is always true, I still think Dylan is right on target. Right now: "It's now or never more than ever." Check out that song about the Titanic. Bob Dylan will be appearing in San Francisco next week, on October 18th. He will be there with Mark Knopfler, who has been known to sing another one of my favorite songs. I'm going to be there, too (God willing).